This Place of Worship was founded in 1905, and we understand it is still open. Kelly's Directory of 1895 describes Fernilee as a township in the parish of Hope, immediately adjacent to the Whaley Bridge station (in Cheshire) on the Buxton and Manchester section of the London and North Western railway, 6 miles north west from Buxton, and 3 south west from Chapel en le Frith. The account draws our attention that Fernilee is on the borders of Cheshire, and is divided from that county by the river Goyt, which is here crossed by a stone bridge. The Cromford and High Peak railway then passed through it, forming a junction at Whaley Bridge with the London and North Western railway. "There are no water works, the supply being direct from springs; gas is supplied by the Whaley Bridge Gas Company from works near the railway station". 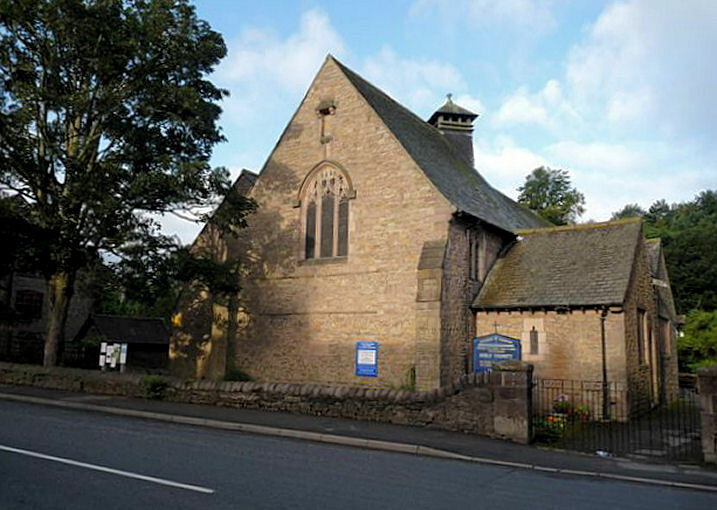 In fact, whilst Holy Trinity Church is described as being of Fernilee, it is actually closer to the centre of Whaley Bridge, and one of two Anglican churches in that vicinity, the other being St James, in Taxal. It seems unlikely ever to have had a graveyard, as it backs onto the River Goyt. 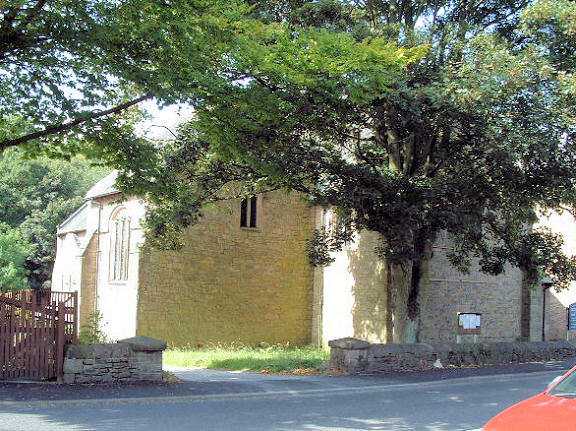 It is now a Listed Building. Nearby is a bus stop labelled 'Horwich End, White Horse (opp)'. And speaking of pubs, Fernilee settlement itself still has the pub named the 'Shady Oak' showing on OS Maps 1910-13. Holy Trinity Church, Fernilee shown on a Google Map. Places of Worship in Fernilee shown on a Google Map. Information last updated on 20 Dec 2018 at 11:20. This Report was created 27 Mar 2019 - 10:01:29 GMT from information held in the Derbyshire section of the Places of Worship Database. This was last updated on 6 Feb 2019 at 15:49.